Hey beautifuls! So a couple weeks ago me and Elarner were discussing doing a joint giveaway, then we both (literally at the same time) had the idea of making it a competition instead! So we talked over the theme and decided on PIN UP! The lucky winner, who will be selected by myself and Elarner will win the following! All are favourites and loved by us at Beautiful Darkness! So obviously we have to have some rules. 3. Profile must be PUBLIC or we won’t be able to see your entry! 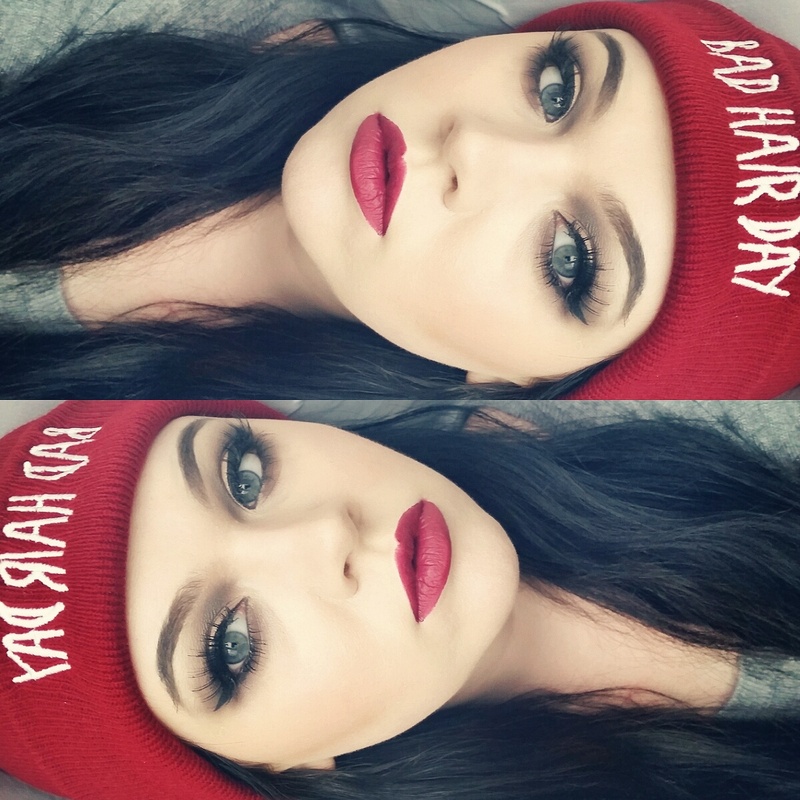 Create a pin up look! we do advise photos are clear as possible, I do have a tips blog post on taking clear pictures on your phone if you don’t own a fancy camera. But obviously we will be judging the look, not how good your camera is. That’s it! Enjoy and good luck. 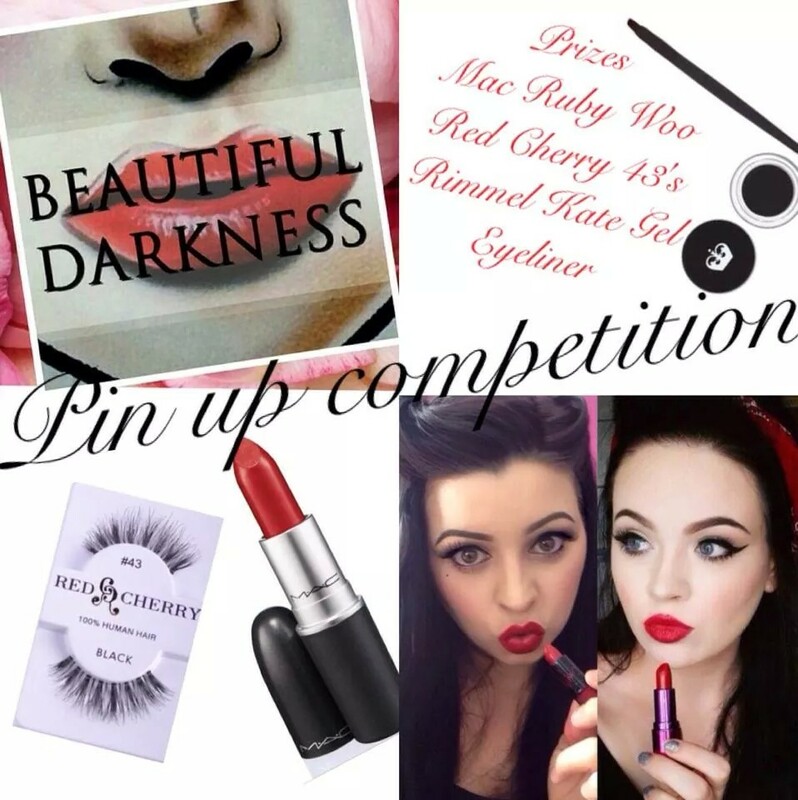 Pin up is our personal favourite of both of ours so we’re SO excited to see everyones looks. So Autumn is upon us! My favourite time of the year! With my birthday & Halloween I get a little excited to say the least! 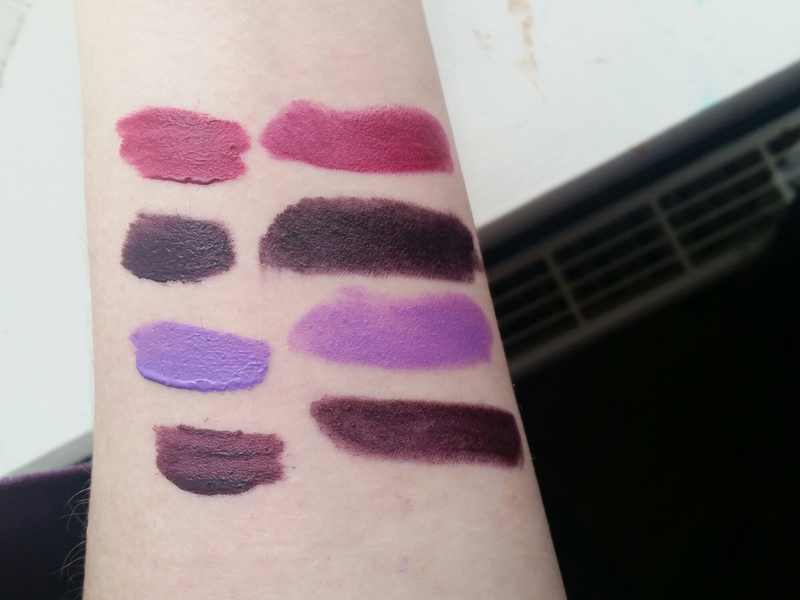 however I also get to rock my favourite dark vampy lip colours!!!! 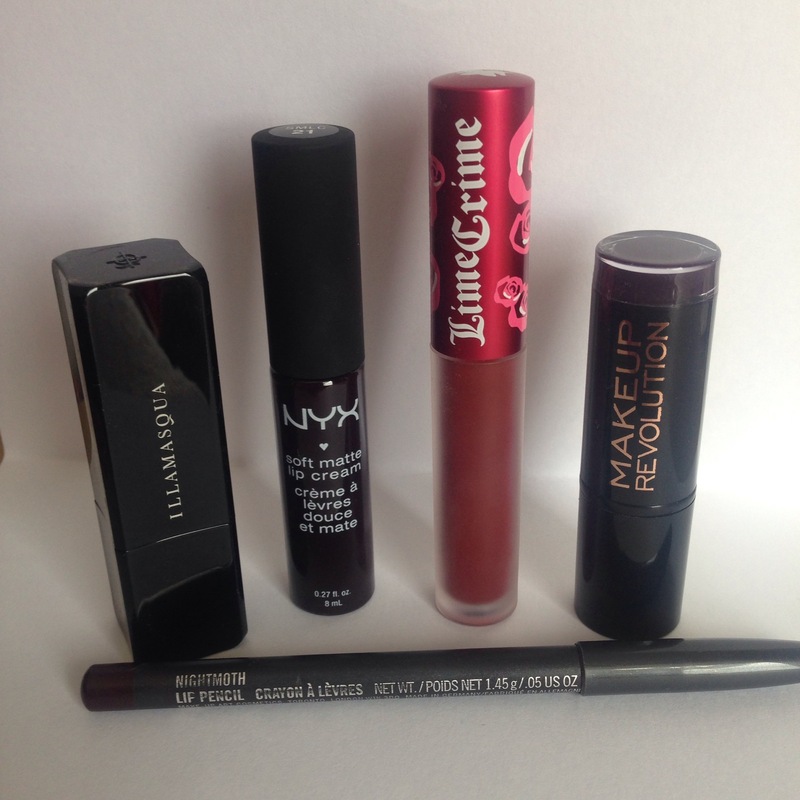 And don’t get me wrong I do still wear them in other seasons but nothing beats a real vampy lip in the fall, so today I’ll post my top 5 I hope you enjoy them and maybe try some out!!! 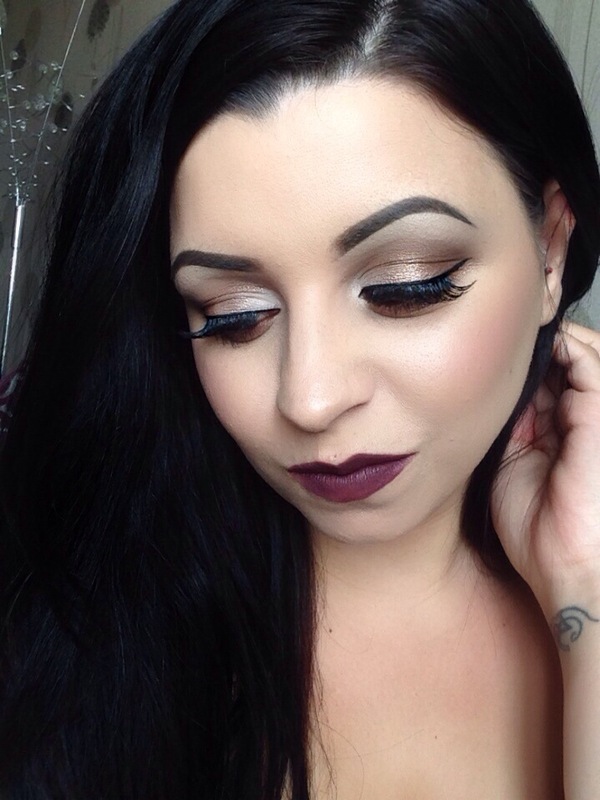 First is illamasqua “growl” I was lucky enough to get this in a sale but it’s RRP is £18.50, this is one of the most gorgeous rich monogamy brown with a matte finish! 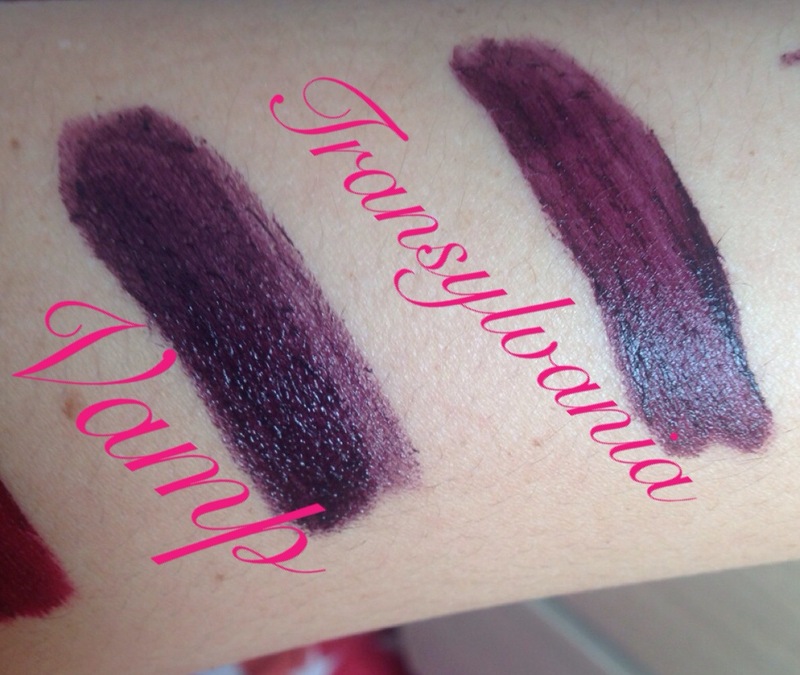 Extremely long wearing and amazingly pigmented! 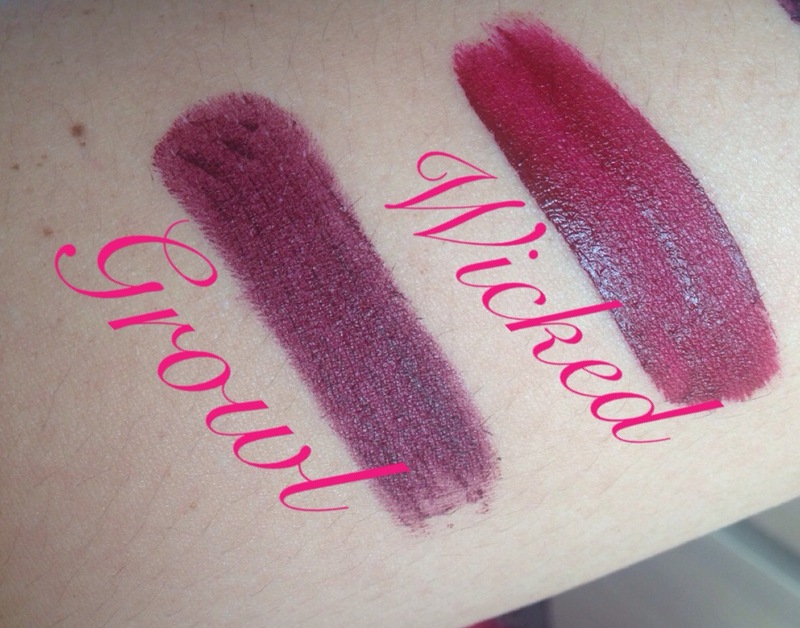 Second pick is Limecrimes “wicked” velvetine, retails for £13.50 from cocktailcosmetics.co.uk, a deep red with slight brown undertones, this is a liquid lipstick so goes on like a gloss as drys to a Matte finish but surprisingly not drying on the lips at all! and lasts literally all day with just one application, I especially love this if I’m going out to eat as I know It will stay put! Third on the list is a new favorite of mine thanks to the recommendation from my gorgeous girl Lois! This is Makeup revolutions vamp lipstick in the shade “100% Vamp” you can purchase this from MakeupRevolution.co.uk for just £1!!!!! this is a very close dupe of macs cyber lipstick just with more of a creamy finish! A gorgeous deep plum I just cant get enough of it! The last lipstick of the bunch is NYX, soft matte lip cream in “Transylvania” (£5.50) This is also a liquid lipstick so apples like a gloss and doesn’t budge at all! It’s a deep deep wine colour, so pretty and will be forever a lipstick I reach for! So my last Autumn lip essential is actually a lipliner! 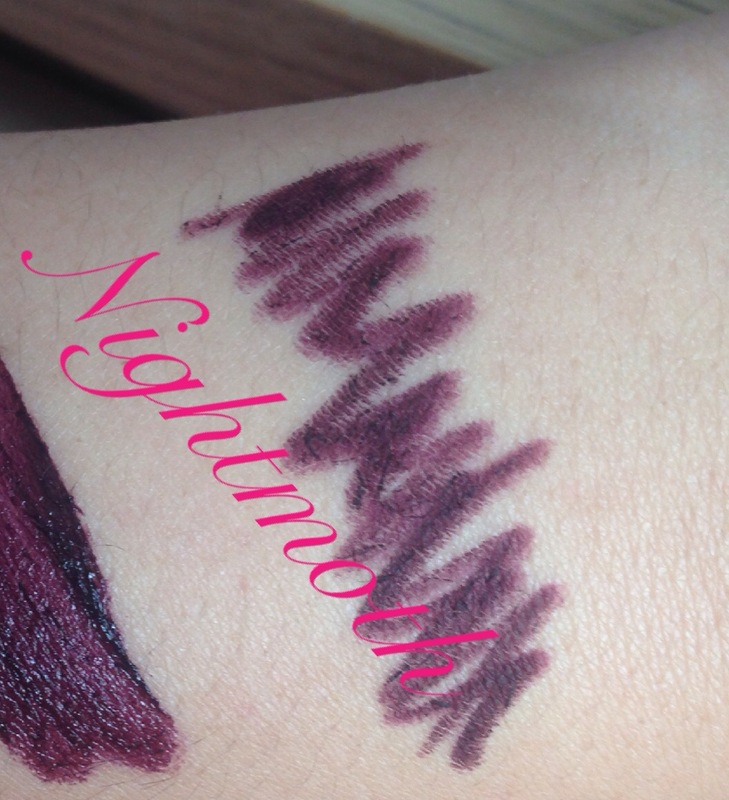 Nightmoth by Mac cosmetics, (£12.00) I actually wear this liner with all of the above lipsticks it’s extremely versatile great for a ombré lip effect or just lining the lips normally! I personally find it essential with any dark lip colour as you especially don’t want the lipstick smudging or bleeding all round your mouth so this will defiantly keep it looking crisp & beautiful! 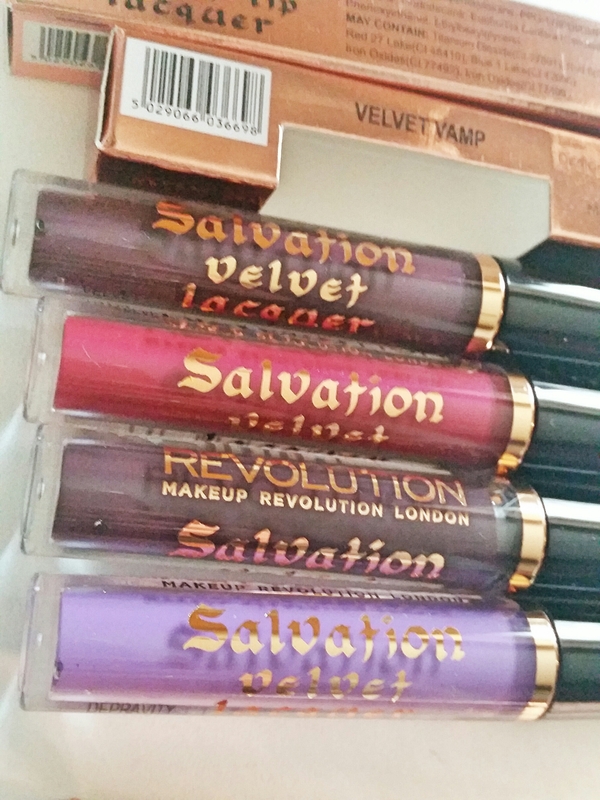 Today I will be reviewing the BRAND NEW velvet lip lacquers from make up revolution. There are 4 new colours to choose from. 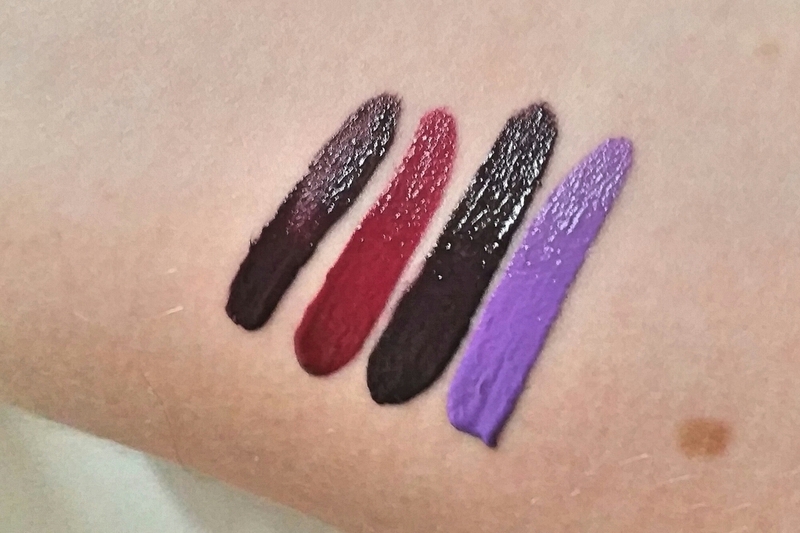 Velvet Rebel, Velvet Vamp, Velvet Depravity and Velvet Blackheart. Obviously I had to get them all! First impressions: Firstly the colours are GORGEOUS. They are definitely my kind of thing! Having already tried a lip lacquer from Make Up Academy, also £3.00 and hated it I was a bit worried about not liking these especially as the colours are so perfect I really wanted to like the formula. So when I first applied Red Velvet (first one I decided to try) I was so happy to find it wasn’t the same as the MUA formula which is extremely sticky and bleeds alot. It glides on smoothly and feels like a gloss and very quickly dries matte. I would advise wearing a lip balm under these however I’d advise that for any lip product anyway, especially a matte formula. Longevity: No plans to go out today, so my stress test will just be wearing it during the day. Also about to eat lunch so I’ll report back on how it holds up! Its now 7 o clock so thought I’d report back. Have eaten, and drunk several cups of tea. The colour came off a bit onto the cup but when I checked in the mirror it was still great. Then came the ultimate test. My son attempted to remove the lip color with a tissue. Normally I’d distract him so my make up remains intact but decided it was a good test of how smudge proof/touch proof it is. After a good attempt to remove my lip colour it had only gone a little bit patchy but still totally wearable just needed a teeny touch up. Amazing. So 7 hours wear eating and drinking and ALOT of smudging thanks to my son, and it’s held up great. Very happy with this product! Conclusion: I really love the formula of these, definitely better than I expected! 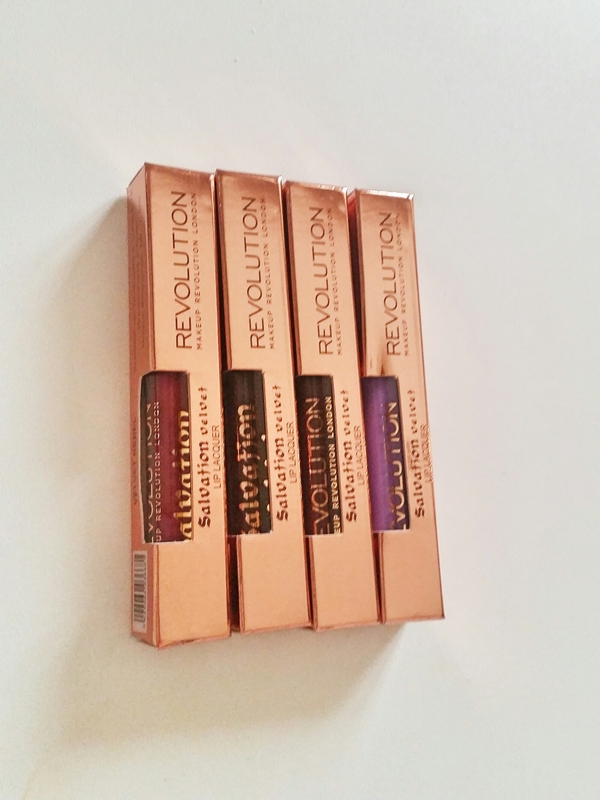 Well done Make Up Revolution another great product!